Park in visitors parking and register at information center. ark in visitors parking and register at information center. The responsibility of finding a legal parking space rests with the vehicle registrant. Lack of immediate space or inclement weather is not considered a valid excuse for violation of parking regulations. Students may park in all parking lots except those areas that are designated as STAFF, VISITOR or LOADING ZONES. See map for permitted student parking areas. Parking is not permitted on the roadway, next to the curbing on the roadway, in or about the entrance to the building, or any other areas designated as NO PARKING. All yellow marks on curbing indicate NO PARKING ZONES. 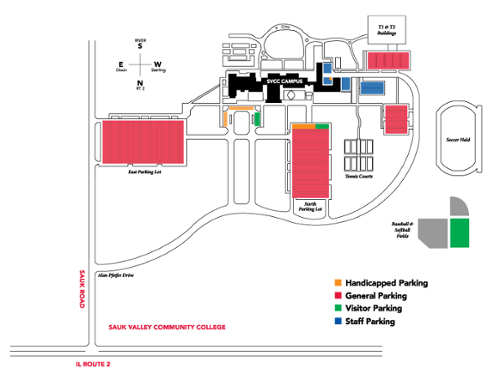 Parking is prohibited at all times on grass plots, tree plots, or any other place where parking would mar the landscape of the campus, create a safety hazard, or interfere with the use of the College facility. Traffic and parking signs should be obeyed at all times. Posted campus speed limits should be strictly adhered to, especially when approaching congested areas. All vehicles shall be parked in such a manner so as not to occupy more than one regular parking stall. Special permits will be issued to physically disabled or hardship cases upon request to the director of buildings and grounds and upon presentation of a doctor's statement indicating the medical necessity for the special parking permit (1C12). Any vehicle parked in a no parking area, blocking an entrance to the building exceeding the 15 minute limit in the loading zones, or in such a manner as to obstruct the flow of traffic may be booted or towed away at the expense of the owner. All vehicles shall park head-on with the front of the car facing the curb. All accidents involving a motor vehicle on campus shall be reported to building and grounds (1C12). Upon receipt of a parking violation, a student has five (5) days in which to pay the parking fine. If not paid, fines increase to $15.00 after 5 days and $30.00 after 10 days. Payment should be placed in the parking violation envelope, sealed and returned to the business office (1H2) during regular business hours or dropped off in the information office (1K13) after 4:30pm. Questions regarding tickets should be made to the Public Safety Office, (1C16), ext. 331. 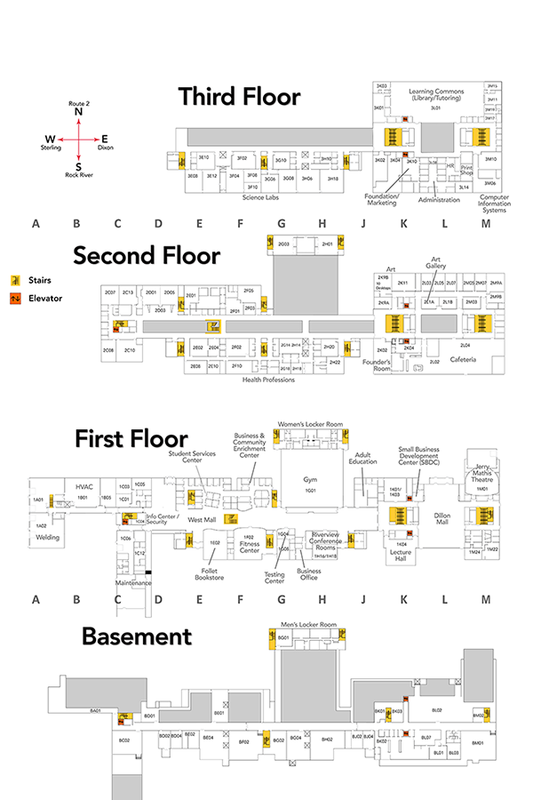 Detailed campus maps and room listings are available at svcc.edu/map.